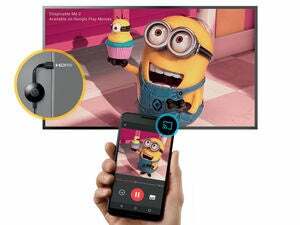 The Universal Media Remote can control cable boxes, audio receivers, and TVs, along with Sony’s game console. Sony is now selling a universal remote control for the PlayStation 4, which could come in handy for users who regularly flip to the console for streaming video. 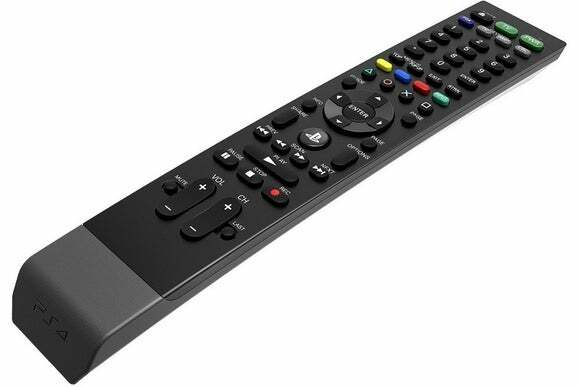 Like other universal remotes, users can program Sony’s Universal Media Remote to control cable boxes, televisions, and audio receivers. The difference with Sony’s remote is that it has PlayStation controls built in, including face buttons, the PS button, and the Share button. It connects with the PlayStation 4 over Bluetooth, and can control up to three other devices (presumably via infrared blaster). Strangely, Sony notes that not all apps will be fully compatible with the remote at launch. The initial compatibility list includes the Blu-ray Disc Player, Crunchyroll, Funimation, HBO Go, Media Player, NBA Game Time, Netflix, NFL Sunday Ticket, PlayStation Video, PlayStation Vue, Twitch, and YouTube. Sony says more apps and services will add support later. The remote isn’t actually made by Sony, but was designed in partnership with third-party peripheral maker Performance Designed Products. It’s going on sale later this month for $30. Why this matters: Sony’s remote isn’t the only option for controlling the PS4 alongside the rest of your entertainment center, though it could be the simplest. Although certain television remotes can control the PS4 via HDMI-CEC, you might still need a separate remote for the cable box. And while Logitech supports PS4 controls with its Harmony remotes, this requires a Bluetooth hub and still relies on a regular PS4 controller to turn the console on. At $30, Sony’s remote stands as a cheap way for PS4 users to de-clutter their living room setups.